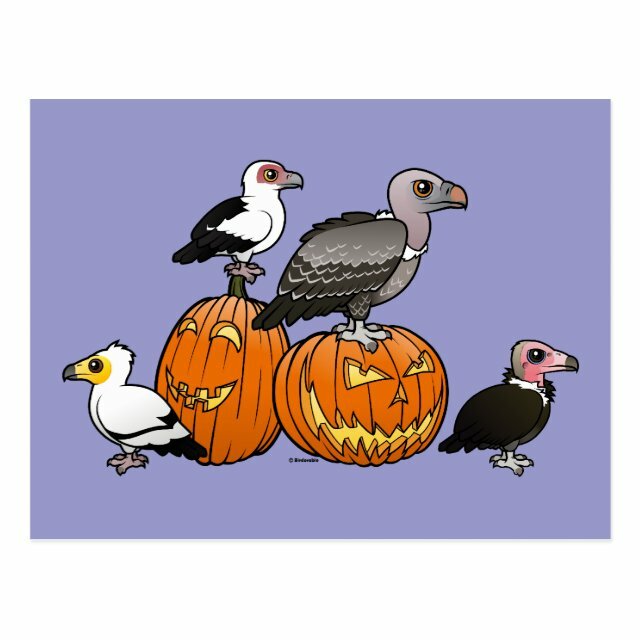 Four vultures in cute cartoon Birdorable style sit on and around two spooky carved pumpkins. This original design was made just for Halloween! You can customize this gift. Move the design around, change the background color or product style, add text or images -- make it your own!